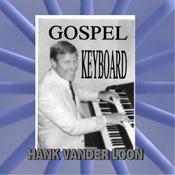 Hank Vander Loon has created several recordings over the years which we're offering on compact disc for your listening enjoyment. Each disc can be purchased via your credit card or Paypal for $9.99. Be sure to check out the sample recordings below. 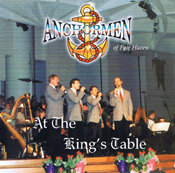 Please note: A shipping charge of $2.50 per CD will be added at checkout. Be sure to check out our "Three CD's for $20" special below. Click on audio players for sample audio tracks! Hank using his Technics KN6000 keyboard. Yamaha FX 20 three manual organ. 15 popular songs using organ and keyboard. 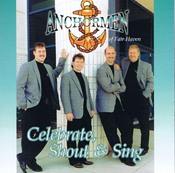 Hank Vander Loon's singing career started in 1963 when he formed the popular Heralders Quartet singing baritone. 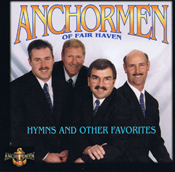 In 1995, Hank formed the Anchormen of Fair Haven Quartet and traveled and sang bass for 11 more years. Below are four of the five CDs they recorded over eleven years together. 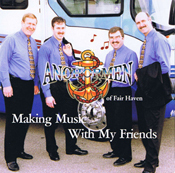 Order any three CD's from our store on this page for $20. Just type the names of the CD's in the fields and right and click the "Buy Now" button to pay with your credit card or PayPal account. Your CD's will be shipped promptly by mail. A $3 charge for shipping and handling will be added to your order.